If you really love Larry, prove it! After the conference last week, I came over to Arizona to see my parents. 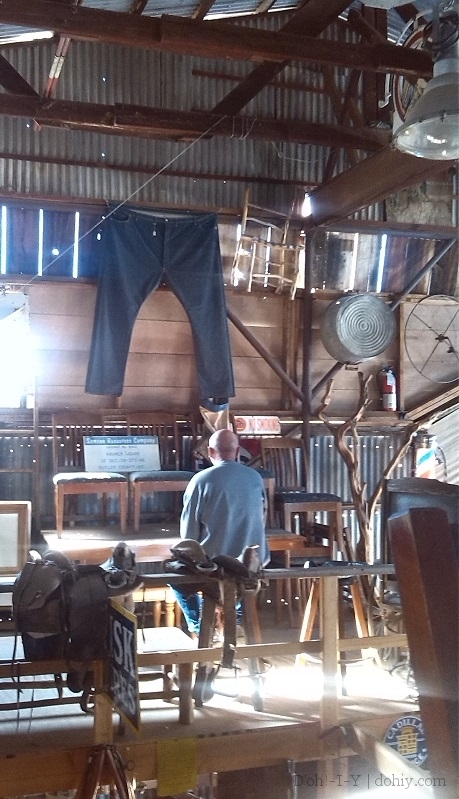 We took a short trip over to Cottonwood to experience Larry’s Antiques & Things. 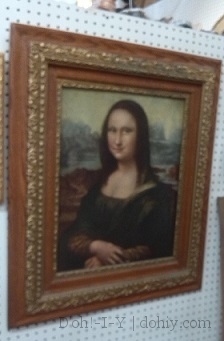 Larry’s is one of those ranging, many-roomed antiques places, only writ much, much larger. Larry’s has two acres of stuff. Two. Acres. 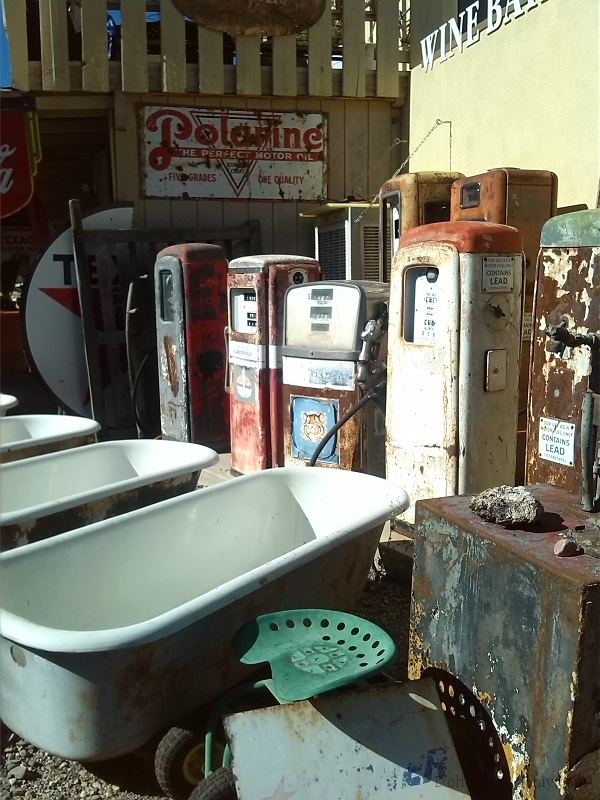 Bath tubs and gas pumps: together at last. 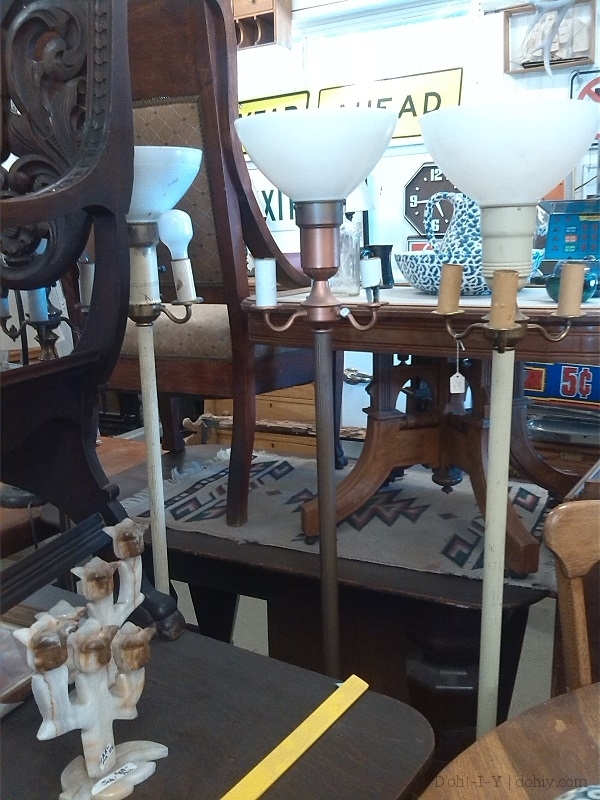 If you are anywhere near the place and are in the market for anything vaguely vintage, check it out. You never know what you might find. 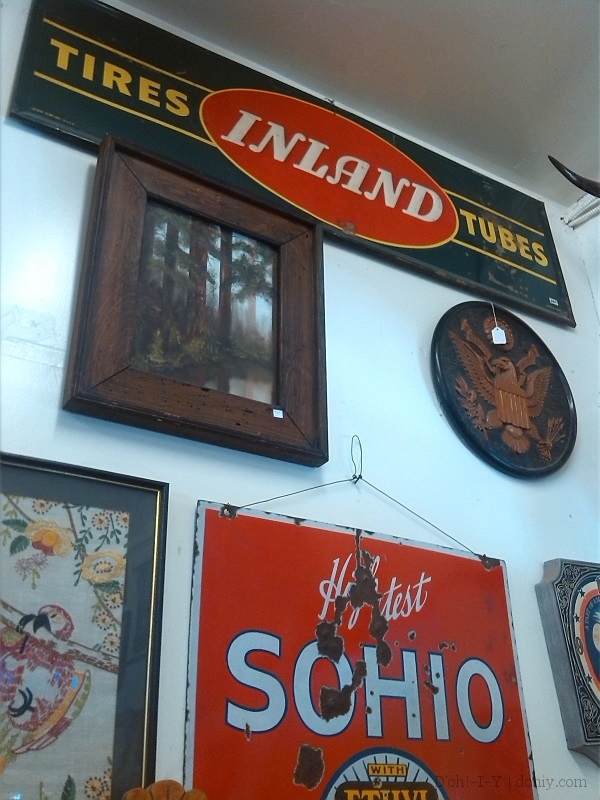 Larry’s has a lot of everything (including old house parts, which I just bought back home), and is particularly strong in vintage signage. If there’s one of something, there’s likely to be another to compare it to. You might find something you didn’t even know you needed. The prices struck me as straight retail with some exceptions, but they were willing to deal. 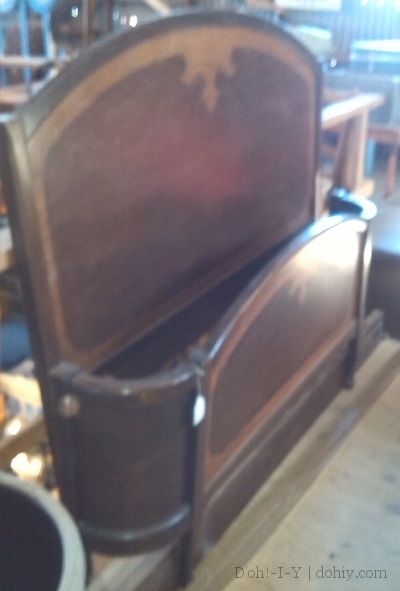 Unless I read the tag wrong, this headboard/footboard set was $89. The place pulls in the punters from all over. Cottonwood is a cute town with plenty of other shops (including Ye Ole Hippie Emporium, which we unfortunately missed out on this time) and cafes. If you are in striking distance, it’s a fun ride out. 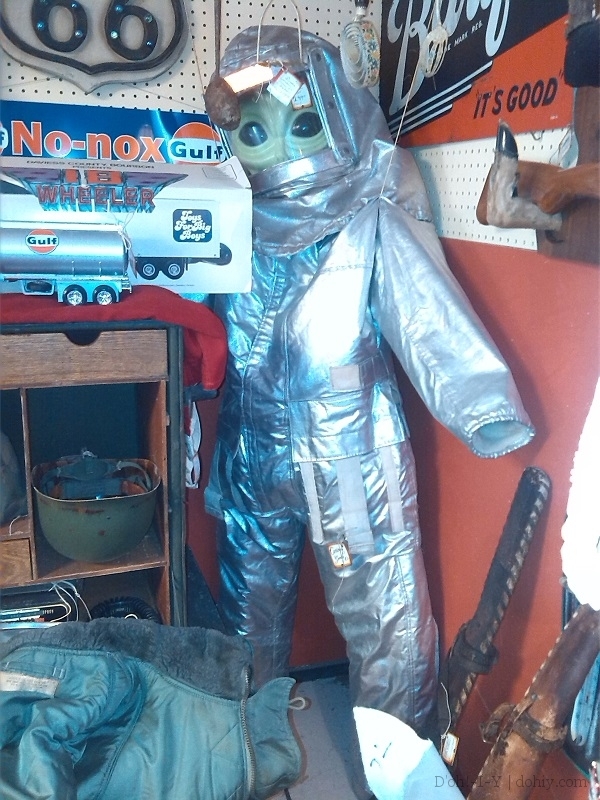 This entry was posted in Decor, Furniture, Salvage and tagged antique house parts, Cottonwood AZ, Larry's Antiques, Larry's Antiques and Things. Bookmark the permalink.